Dr. Chaosheng Zhang received his bachelor’s and master’s degrees from Peking University, and PhD degree from Institute of Geography, Chinese Academy of Sciences, China. Dr. Chaosheng Zhang is Director of International Network for Environment and Health (INEH), School of Geography and Archaeology, National University of Ireland, Galway. He was the founding and former head of Ryan Institute GIS Centre. He teaches Geographic Information System (GIS) courses at the University. Dr. Zhang’s academic background covers both GIS and environmental geochemistry. His research focuses on spatial analyses of environmental variables, especially metals and nutrients in soils and soil organic carbon, using GIS, geostatistics and other spatial statistical techniques, to identify hotspots and quantify spatial variation, providing scientific bases for environmental management and precision agriculture. With collaborators, he also works on the novel technology of DGT (diffusive gradients in thin films) for assessment of bioavailability of chemicals in the environment. One of the current research directions of Dr. Zhang is spatial analysis of environment and health. Dr. Zhang has published more than 150 papers in peer-reviewed journals (Google Scholar H-index: 40; SCOPUS H-index: 36). He is a reviewer for more than 60 international journals. Dr. Zhang has research experience in China, Sweden, USA, Australia, Jamaica and Ireland. He was a University Fellow of Hong Kong Baptist University in 2013. Dr. Zhang is chair and organizer of several internationally leading conferences in environment, health and GIS: SEGH 2010 International Conference and Workshops on Environmental Quality and Human Health; SESEH 2012 Sino-European Symposium on Environment and Health; ISEH 2016 & Geoinformatics 2016, Joint International Conference on Environment, Health, GIS and Agriculture; ISEH 2020 International Conference on Environment, Health, GIS and Agriculture. (2007) Soil Geochemical Atlas of Ireland Teagasc and Environmental Protection Agency, Wexford, Ireland. (1992) Spatial Autocorrelation Analysis of Trace Elements in Soils of Tianjin and Shen Zhen. Assembly of Abstracts of Master’s Degree Theses, Peking University, Science edition. Vol. 12. 164-165. (abstract of master’s degree thesis, in Chinese). (1992) A method for rapid locking and unlocking files. Magazine: Microcomputer and Applications 1992(2). p.43-44. (1991) A simple method for dissolving systematic viruses. Microcomputer and Applications. 8, pp.44,46. (in Chinese). (2014) 30th International Conference of SEGH (Society for Environmental Geochemistry and Health) 2014. (2015) GIS spatial analyses in environmental studies, University College Cork, March 4, 2015. (2008) Data Analyses in Geography. Irish Postgraduate Training Conference, Glencree, Feb. 8-10, 2008. (2007) Data Analyses in Geography: Probability distribution and outlier identification. Irish Postgraduate Training Conference, Glencree, Feb. 9-11, 2007. (2003) GIS: Geography and IT. IT Department, NUI, Galway. 2003-02-26. (2001) GIS and its applications. IT Department, NUI, Galway. 2001-10-17. (2013) Special Issue: Selected papers from SESEH 2012 Sino-European Symposium on Environment and Health. Environmental Geochemistry and Health 35(5). (2012) Book of Abstracts: SESEH 2012 Sino-European Symposium on Environment and Health, 20-25 August, 2012. 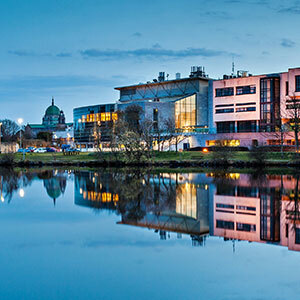 National University of Ireland, Galway, Ireland. (2011) Selected papers from SEGH 2010 conference on environmental quality and human health. (2010) Book of Abstracts: SEGH 2010 International Conference and Workshops: Environmental Quality and Human Health, Galway, Ireland, June 27- July 2, 2010. (2019) Towards spatial machine learning for identification of hidden spatial patterns and relationships in big data of environmental geochemistry. Wuhan University, March 27, 2019. (2019) Towards spatial machine learning for identification of hidden spatial patterns and relationships in big data of environmental geochemistry. Institute of Geographical Sciences and Natural Resource Research, Chinese Academy of Sciences, Beijing, March 25 (morning), 2019. (2019) Towards spatial machine learning for identification of hidden spatial patterns and relationships in big data of environmental geochemistry. Institute of Tibetan Plateau Research, Chinese Academy of Sciences, Beijing, March 25 (afternoon), 2019. (2019) Towards spatial machine learning for identification of hidden spatial patterns and relationships in big data of environmental geochemistry. Health and Family Planning Information Centre of Sichuan Province, Chengdu, March 12, 2019. (2019) Towards spatial machine learning for identification of hidden spatial patterns and relationships in big data of environmental geochemistry. Sichuan Normal University, Chengdu, March 7, 2019. (2019) Towards machine learning for identification of hidden spatial patterns and relationships in big data of environmental geochemistry. Geography Dept., Maynooth University, February 21, 2019. (2018) Spatial variation of soil geochemistry at different scales in the big data era: potential links with social economics. Xi’an University of Finance and Economics, July 24, 2018. (2018) Spatial variation of soil geochemistry at different scales: New challenges and opportunities in the big data era, Chengdu Technological University, May 9, 2018. (2018) Spatial Hotspot Analysis of Geochemistry in the Era of Big Data, International Centre on Global Scale Environmental Geochemistry, Langfang, China. May 17, 2018. (2018) How to Write a Scientific Paper? Henan University, April 28, 2018. (2018) Spatial variation of soil geochemistry at different scales. Policy Lab, NUI Galway, Jan. 9, 2018. (2018) Spatial variation of soil geochemistry at different scales in the big data era, Guiyang Institute of Geochemistry, Chinese Academy of Sciences, Guiyang, Aug 6, 2018. (2018) Advanced GIS spatial analyses: Possible tools to reveal potential links between environment and health in the big data era, Medical School, Sichuan University, Chengdu. Aug. 7, 2018. (2018) How to Write a Scientific Paper? Chengdu Technological University, Aug. 13, 2018. (2018) Spatial variation of soil geochemistry at different scales in the big data era. Central South University of Forestry and Technology, Aug. 14, 2018. (2018) Towards machine learning for identification of hidden spatial patterns and relationships in big data of environmental geochemistry. Medical School, Peking University, Beijing. Oct. 19, 2018. (2018) Towards machine learning for identification of hidden spatial patterns and relationships in big data of environmental geochemistry. Henan University, Nov. 7., 2018. (2018) Spatial variation of soil geochemistry at different scales in the big data era, Jinan University, Guangzhou, Aug. 23, 2018. (2017) Spatial variation in soil geochemistry at regional, field and micro scales: New opportunities and challenges. Beijing Normal University, July 10, 2017. (2017) Use of GIS to identify soil pollution in South Park on Galway Coast. Seminar for a group of visiting students from Oldenburg, Germany. Dept of Geography, NUI Galway. March 7, 2017. (2017) Spatial analysis in geochemistry at regional, field and micro scales: New opportunities and challenges. 30 years EuroGeoSurveys Geochemistry Expert Group and 20 years IUGS Commission on Global Geochemical Baselines Meeting at the ”Geologische Bundesanstalt” (GBA) in Vienna, 20 & 21 April, 2017. 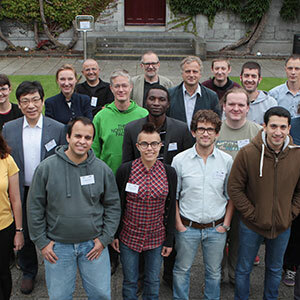 (2017) Spatial variation in geochemistry at regional, field and micro scales: New opportunities and challenges, FarmEye Stakeholder Workshop, Technology Transfer Office, NUI Galway. May 12, 2017. (2017) Spatial variation in soil geochemistry at regional, field and micro scales: New opportunities and challenges, UNESCO International Centre on Global-Scale Geochemistry (ICGG), Langfang, China, July 7, 2017. (2017) How to Write a Scientific Paper, UNESCO International Centre on Global-Scale Geochemistry (ICGG), Langfang, China, July 28, 2017. (2017) Towards practical applications of measurements of labile P, As and metals in soils and sediments based on a novel passive sampling technique of diffusive gradients in thin films (DGT), Central South University of Forestry and Technology, Changsha, July 15, 2017. (2017) Spatial variation in soil geochemistry at regional, field and micro scales: New opportunities and challenges, Central South University of Forestry and Technology, Changsha, July 15, 2017. (2017) Spatial variation in soil geochemistry at regional, field and micro scales: New opportunities and challenges, Sichuan University, Chengdu, July 17, 2017. (2016) Bioavailability assessment of P, As and metals in soils and sediments: Development of diffusive gradients in thin films (DGT) as a passive sampling technique. Institute of Geography, Hebei Academy of Sciences. April 26, 2016. (2016) Advanced GIS spatial analyses in environmental studies. Lanzhou University, July 17, 2016. (2016) Advanced GIS spatial analyses in environmental studies. . Institute of Geography, Hebei Academy of Sciences. April 26, 2016. (2016) Advanced GIS spatial analyses in environmental studies. Shenzhen Institute of Advanced Technology, Oct. 20, 2016. (2016) Bioavailability assessment of P, As and metals in soils and sediments: Development of diffusive gradients in thin films (DGT) as a passive sampling technique. Lanzhou University, July 17, 2016. (2016) Advanced GIS spatial analyses in environmental studies. Jiangxi Normal University, Oct. 19, 2016. (2016) Bioavailability assessment of P, As and metals in soils and sediments: Development of diffusive gradients in thin films (DGT) as a passive sampling technique. Shenzhen Institute of Advanced Technology, Oct. 20, 2016. (2016) Bioavailability assessment of P, As and metals in soils and sediments: Development of diffusive gradients in thin films (DGT) as a passive sampling technique. Henan University, Oct. 21, 2016. (2016) Advanced GIS spatial analyses in environmental studies. Henan University, Oct. 21, 2016. (2016) Bioavailability assessment of P, As and metals in soils and sediments: Development of diffusive gradients in thin films (DGT) as a passive sampling technique. Jiangxi Normal University, Oct. 19, 2016. (2015) Bioavailability assessment of P, As and metals in soils and sediments: Development of diffusive gradients in thin films (DGT) as a passive sampling technique. Institute of Soil Science, CAS, Nanjing, May 8, 2015. (2015) Towards GIS spatial analyses in environmental and health studies. University of Electronic Science and Technology of China, Chengdu, May 5, 2015. (2015) Bioavailability assessment of P, As and metals in soils and sediments: Development of diffusive gradients in thin films (DGT). Institute of Mountain Hazards and Environment, CAS, Chengdu. May 4, 2015. (2015) Variation of As concentration on surfaces of CCA-treated wood planks in a park and its field influencing factors. Nanjing University, May 7, 2015. (2015) Bioavailability assessment of P, As and metals in soils and sediments: Development of diffusive gradients in thin films (DGT) as a passive sampling technique. Nanchang University, June 15, 2015. (2015) Advanced GIS spatial analyses in environmental studies. Central South University of Forestry & Technology (CSUFT), Changsha, June 17, 2015. (2015) Advanced GIS spatial analyses in environmental studies. Institute of Subtropical Agriculture Chinese Academy of Sciences (ISA), Changsha, June 17, 2015. (2014) Variation of arsenic concentration on surfaces of cca-treated wood planks in a park in china and its field influencing factors. Guangzhou Institute of Geochemistry, Guangzhou, China. July 23, 2014. (2014) Towards GIS spatial analyses in environmental and health studies. Institute of Urban Environment, Chinese Academy of Sciences, Xiamen, July 29, 2014. (2014) GIS and DGT: Advanced techniques for environmental studies. Nanchang University, July 14, 2014. (2014) Diffusive gradients in thin films (DGT): An emerging technology for measurements of bioavailable phosphorus and metals in sediments and soils. Ryan Institute Lunchtime Seminar, National University of Ireland, Galway. 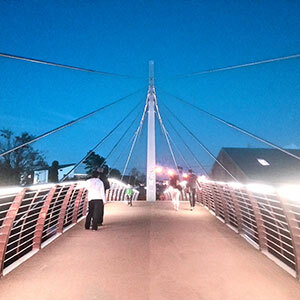 Jan. 10, 2014. (2014) Variation of arsenic concentration on surfaces of CCa-treated wood planks in a park in china and its field influencing factors. Sichuan University, Chengdu, Aug. 5, 2014. (2014) DGT: An emerging technique for bioavailability assessment. Institute of Urban Environment, Chinese Academy of Sciences, Xiamen, July 29, 2014. (2013) Use of GIS to identify potential contaminated land. Chinese University of Hong Kong, March 14, 2013. (2013) Towards spatial analyses of environment and health. Hong Kong Baptist University, March 12, 2013. (2013) Advanced spatial analyses in environmental studies. Hong Kong Polytech University, March 6, 2013. (2013) Advanced spatial analyses in environmental studies. Chinese University of Hong Kong, February 22, 2013. (2013) Use of GIS to identify potential contaminated land. Southwest University, Chongqing, China, March 29, 2013. (2013) Diffusive gradients in thin films (DGT): An emerging technology for measurements of bioavailable phosphorus and metals in sediments and soils. South China Institute of Environmental Sciences, Guangzhou, May 8, 2013. (2013) Diffusive gradients in thin films (DGT): An emerging technology for measurements of bioavailable phosphorus and metals in sediments and soils. Guangdong University of Technology, Guangzhou, May 7, 2013. (2013) Diffusive gradients in thin films (DGT): An emerging technology for measurements of bioavailable phosphorus and metals in sediments and soils. South China Botanical Garden, Chinese Academy of Sciences, Guangzhou, May 7, 2013. (2013) Diffusive gradients in thin films (DGT): An emerging technology for measurements of bioavailable phosphorus and metals in sediments and soils. Guangzhou Institute of Geochemistry, Chinese Academy of Sciences, Guangzhou, May 6, 2013. (2013) Diffusive gradients in thin films (DGT): An emerging technology for measurements of bioavailable phosphorus and metals in sediments and soils. Hong Kong Baptist University, May 30, 2013. (2013) Diffusive gradients in thin films (DGT): An emerging technology for environmental monitoring of bioavailability. Jiuzhaigou National Park, Sichuan, China, May 14, 2013. (2013) GIS and DGT: Advanced techniques for contaminated land research. Zhejiang Agriculture and Forestry University, Hangzhou, China, May 22, 2013. (2013) Diffusive gradients in thin films (DGT): An emerging technology for measurements of bioavailable phosphorus and metals in sediments and soils. Sichuan University, Chengdu, China, May 17, 2013. (2013) Zhang, C.S., 2013. Environmental Pollution and Health: Environmental Problems in Jiuzhaigou National Park. Jiuzhaigou National Park, Sichuan, China, July 28, 2013. (Public lecture). (2013) Towards GIS spatial analyses in medical geology. Introduction to Medical Geology Short Course. MEDGEO 2013: The 5th International Conference on Medical Geology & 2nd Symposium on Advances in Geospatial Technologies for Health, 25–29 August 2013, Hilton Crystal City Hotel, Arlington, Virginia, USA. (As One of Workshop Leaders). (2012) Environmental monitoring: Portable XRF analyzer for metals in soils. Ryan Institute, National University of Ireland, Galway. March 16, 2012. (2012) Preliminary analyses of scientific research methodologies. Sichuan University, Chengdu, China. April 19, 2012. (2012) Toward spatial analyses of environment and health. Nanjing University, Nanjing, China. Nov. 12, 2012. (2012) A Novel Approach for Measurement of Dissolved Reactive Phosphorus and Its Significance in Eutrophication Monitoring in Jiuzhaigou National Park. Jiuzhaigou National Park, Sichuan, China. Nov. 25, 2012. (2012) Toward spatial analyses of environment and health. Institute of Mountain Hazards and Environment (IMHE), Chinese Academy of Sciences, Chengdu, China. Nov. 27, 2012. (2012) Advanced GIS Spatial Analyses in Environmental Studies. Huazhong Agricultural University, Wuhan, China. April 13, 2012. (2012) Advanced GIS Spatial Analyses in Environmental Studies. Guiyang Institute of Geochemistry, Chinese Academy of Sciences, Guiyang, China. April 25, 2012. (2012) Advanced GIS spatial analyses and their potential applications in grassland research. Sichuan Grassland Science Academy, Chengdu, China. Aug. 2., 2012. (2012) Advanced GIS Spatial Analyses in Environmental Studies. Guangzhou Institute of Geochemistry, Chinese Academy of Sciences ,Guangzhou, China. April 27, 2012. (2012) Advanced GIS Spatial Analyses in Environmental Studies. Chinese Research Academy of Environmental Sciences (CRAES), Beijing, China. April 6, 2012. (2012) Advanced GIS Spatial Analyses in Environmental Studies. Research Center for Eco-Environmental Sciences (RCEES), Chinese Academy of Sciences, Beijing, China. April 5, 2012. (2011) Advanced GIS spatial analyses of contaminated land. South China Institute of Environmental Sciences, Guangzhou, China. Aug. 1., 2011. (2011) GIS Spatial Statistical Analyses in Environmental Studies. Nanjing Institute of Geography and Limnology, Chinese Academy of Sciences, Nanjing, China. July 18, 2011. (2011) Advanced Spatial Data Analyses in Environmental Studies. Institute of Urban Environment, Chinese Academy of Sciences, Xiamen, China. July 8, 2011. (2011) Use of spatial analyses to link environment and health. Department of Environmental Sciences, Sichuan University, Chengdu, China. Aug. 2, 2011. (2011) Spatial Analyses in Environmental Studies. 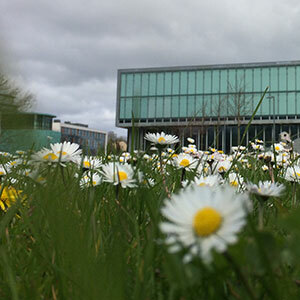 National Centre for Geocomputation, NUI Maynooth. March 24, 2011. (2010) New Development of Applications of GIS in Environmental Monitoring. Guangdong Provincial Center for Environmental Information, Aug. 8, 2010. (2010) Use of geographically weighted regression to map soil organic carbon contents in Ireland. Department of Environmental Sciences, Sichuan University, Chengdu, China. Aug. 6, 2010. (2010) New Development of Applications of GIS in Environmental Protection. Jiuzhaigou National Park, Sichuan Province, China. July 30, 2010. (2010) Identification of Potentially Contaminated Land using Spatial Statistics. State Key Laboratory of Earth Surface Processes and Resource Ecology, Beijing Normal University, Beijing 100875, China. July 15, 2010. (2009) Use of spatial statistics to aid identification of potential contaminated land. Institute of Geographical Sciences and Natural Resources Research, Chinese Academy of Sciences, Beijing, China. July 24, 2009. (2009) Use of spatial statistics to aid identification of potential contaminated land. Sichuan University, Chengdu, China. August 14, 2009. (2008) GIS and its applications. Jiuzhaigou National Park, Sichuan Province, China. July 18, 2008. (2008) Applications of neighbourhood statistics in environmental sciences: Analyses of spatial variation and hotspots. Sichuan University, Chengdu, China. June 30, 2008. (2007) Seminar series: (1) Applications of statistics and GIS in studies of urban soil pollution; (2) Two problems in using statistics: Probability and outliers; (3) Optimal GIS mapping in national soil database of Ireland. Sichuan University, Chengdu, China. July 2-4, 2007. (2006) Using multivariate analyses and GIS to identify pollutants and their spatial patterns in urban soils in Galway, Ireland. Institute of Geographical Sciences and Natural Resources Research, Chinese Academy of Sciences, Beijing, China. April 8, 2006. (2006) Spatio-temporal change analyses and hazard assessment using GIS and geostatistics. Sichuan University, Chengdu, China. April 10, 2006. (2006) Data Analyses in Environmental Geochemistry: Problems and Solutions. Institute of Geographical Sciences and Natural Resources Research, Chinese Academy of Sciences, Beijing, China. April 14, 2006. (2006) Spatio-temporal change analyses and hazard assessment using GIS and geostatistics. Macaulay Institute, Aberdeen, Scotland. Dec. 5, 2006. (2006) Spatio-temporal change analyses and hazard assessment using GIS and geostatistics. 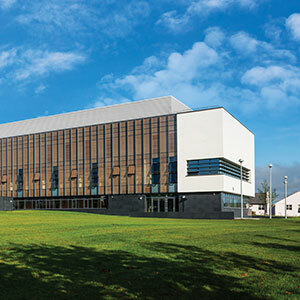 National Centre for Geocomputation, NUI, Maynooth. Jan 19, 2006. (2005) Applications of GIS and statistics in geosciences, Institute of Geographical Science and Natural Resource Research, Chinese Academy of Sciences, Beijing, China. 2005-7-8. (2004) Detecting spatio-temporal changes and assessing hazards using environmental measurements. Centre for Environmental Research, University of Sussex, UK. 2004-10-21. (2004) Detecting spatio-temporal changes and assessing hazards using environmental measurements. School of Environment, University of Brighton, UK. 2004-10-19. (2003) Contaminant distributions in the lower Mississippi River area. Dept. of Geography, NUI, Galway (presented by F. Manaheim) 2003-03-27. (2003) New aspects in GIS mapping: Spatial outliers and spatial uncertainty. Geological Survey of Sweden (SGU), Sweden. 2003-06-12	. (2003) Data quality assessment using statistics and GIS __ An example of chemical elements in sediments from Leinster area. 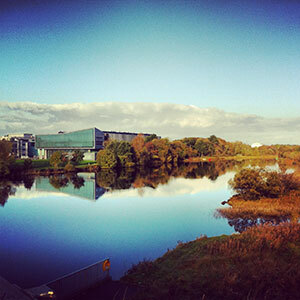 Environmental Change Institute, NUI, Galway. 2003-11-27. (2002) Using GIS and geostatistics to study the changes of carbon contents in Irish soils. 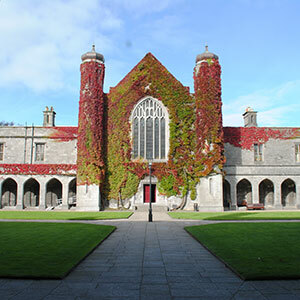 Geography Department, NUI, Galway. 2002-03-14. (2002) Making research in geosciences easier with the aid of quantitative methods. USGS Eastern Mineral Resources, Reston, VA, USA. 2002-07-31	. (2002) Risk assessment of heavy metals in soils of a mining site using geostatistics and GIS. Dept. of Geography, NUI, Galway. 2002-10-07	. (2002) Let the data speak: Applications of quantitative methods to geosciences. USGS, Reston, VA, USA. 2002-08-11. (2001) GIS and its applications in Geochemistry. Zhongshan Universoty, Guangzhou, China (Organized by Guangzhou Institute of Geochemistry, Chinese Academy of Sciences). 2001-11-06	. (2001) GIS and its applications. Geography Department, NUI, Galway. 2001-10-18	. (2008) A review of fractionations of rare earth elements in plants. (2002) Using local Moran’s I to detect spatial outliers in soil organic carbon concentrations in Ireland. In: Levine, N., CrimeStat II: A Spatial Statistics Program for the Analysis of Crime Incident Locations. The National Institute of Justice: Washington D.C., May 2002. p. 293. (one page short summary).